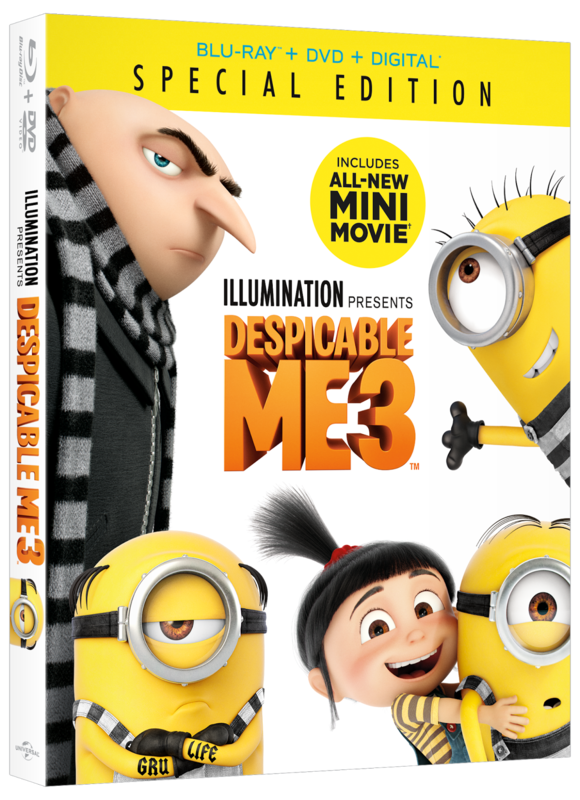 If you’ve seen any of the Despicable Me movies, you know you’re in for a treat with the latest in the series- Despicable Me 3. And if you’ve already seen it, you know why my family is crazy for this new movie. Gru, Lucy, and the adorable girls are back. And don’t forget the lovable minions too! This time Gru and Lucy have their hands full with a new villain on the scene, Balthazar Bratt, who seems to be stuck in the past. His silly antics give this movie a fun new twist. My boys have added “dance off” battles to their play thanks to a scene in this movie. It’s great! I am a huge fan of any movie that the whole family can enjoy. Despicable Me 3 fits that bill perfectly. My husband and I enjoy it just as much as our kids. Our youngest, Jonah, has been a fan of those cute, little, yellow minions for years. His face lit up and he laughed so hard the first time he watched this. There are so many great moments and adding a lesson about the importance of family is nice too. We did receive a copy of Despicable Me 3 on BluRay and DVD for our review. We also got some fun minion holiday ornaments and placemats. The boys were so excited and have used the placemats for weeks now for a little more Christmas (and minion) fun! We thoroughly enjoyed the newest movie and hope you will too. Have you seen it yet? What did your family think? I love this movie so much!! Powered by Blogger. Foofed Up for The Client by Design Chicky (© 2009).